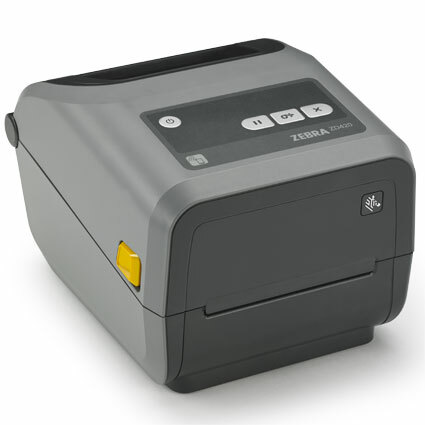 The two newest desktop barcode printers from Zebra, the ZD410 and ZD420, introduce a wide variety of new features. Building on industry standards like the TLP2824 and the GK420, the ZD410 and ZD420 improve printing ability and ease-of-use. For more information on other Zebra barcode printers, see our Zebra G-420 Series Printer Comparison. Print Options: Both printers are available in 203 or 300 dpi, with a print speed of 6 inches per second for 203 dpi, 4 inches per second for 300 dpi. They feature moveable media sensors to allow for more media options. New User Interface: 5 status icons indicate supply levels and help with troubleshooting, and a 3-button system (pause, feed, and stop) improves upon older models that only had 1 button. 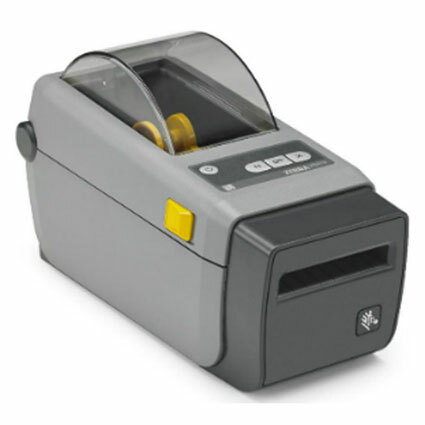 Easy Upgrades: Field-installable interface options (Serial/Ethernet) and accessories, like a cutter or dispenser, allow upgrades after the printer is purchased.